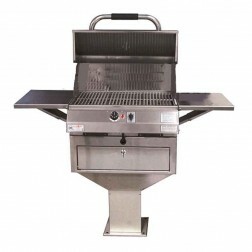 With a modern design, the Electri-Chef ® Pedestal Base Model is the perfect choice to anchor in the common areas of apartment and condominium complexes! 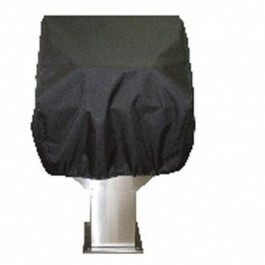 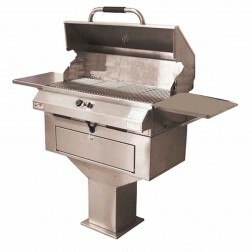 Limited space or many users are no problem for this attractive and durable grill that is easy to clean and eliminates the hassles of charcoal and gas bottles. Plus, it reduces safety concerns by turning itself off with its built-in timer. 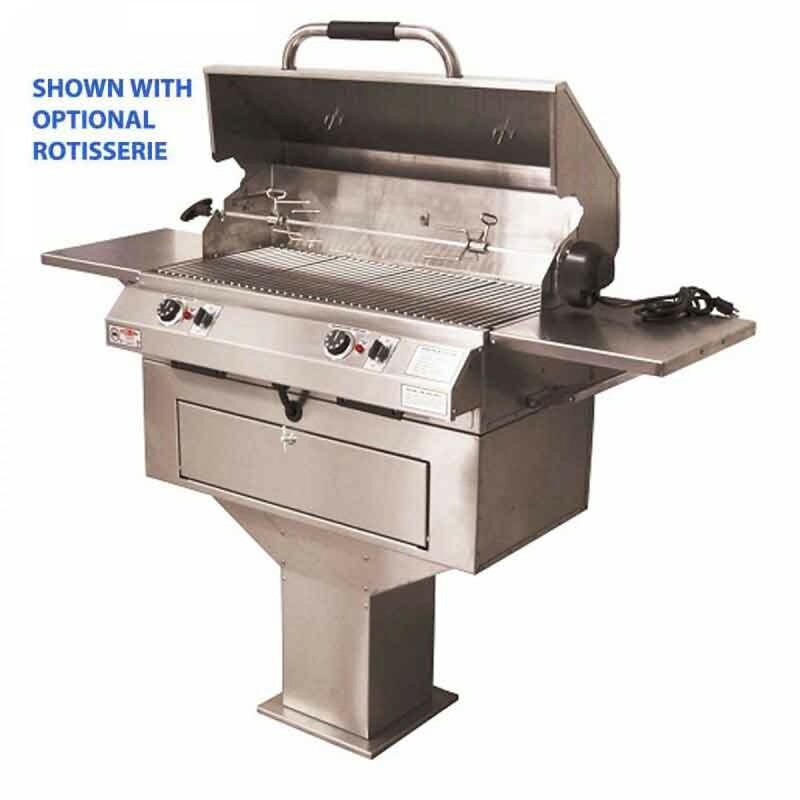 Enhance the grilling experience of residents who wish to enjoy healthier flameless electric grilling around the pool, at the pavilion or any communal green space. The Electri-Chef ® Pedestal Base Grill offers you the choice of two different grilling sizes and flip up shelves for convenient work space. Apartments, Condos, Common Areas/Rooftop Terraces, and Multi-Family Dwellings.